What Frege has bequeathed to us regarding the concept of truth is not a homogeneous, coherent and systematically worked out conception. It is rather an agglomeration of remarks, scattered throughout several of his writings, on the nature of judgement and assertion, the conception of the two truth-values the True and the False as the references of assertoric sentences (as objects), the relation of a (true) thought to the True, the role and the purportedly unique sense of the word “true” and its alleged redundancy on the level of both sense and assertion, the characterization of logic as the science of the most general laws of truth, the “truth-conditional“ approach concerning the semantics of his formal language — to mention some issues, but not all. 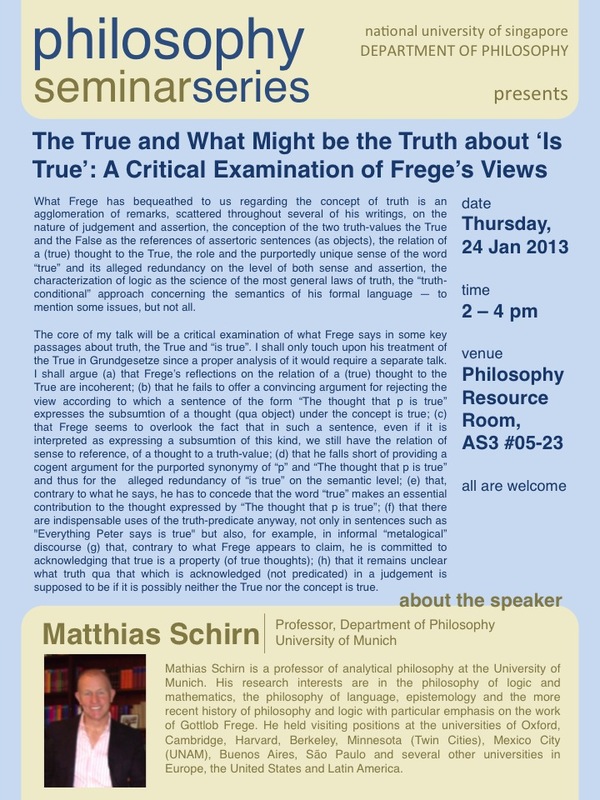 The core of my talk will be a critical examination of what Frege says in some key passages about truth, the True and “is true”. I shall only touch upon his treatment of the True in Grundgesetze since a proper analysis of it would require a separate talk. Where it seems useful and enlightening, aspects of the current discussion of the concept of truth (for example, the role of this concept in minimalism about truth) will be taken into account. I shall argue among other things (a) that Frege’s reflections on the relation of a (true) thought to the True are incoherent; (b) that he fails to offer a convincing argument for rejecting the view according to which a sentence of the form “The thought that p is true” expresses the subsumtion of a thought (qua object) under the concept is true; (c) that Frege seems to overlook the fact that in such a sentence, even if it is interpreted as expressing a subsumtion of this kind, we still have the relation of sense to reference, of a thought to a truth-value; (d) that he falls short of providing a cogent argument for the purported synonymy of “p” and “The thought that p is true” and thus for the alleged redundancy of “is true” on the semantic level; (e) that, contrary to what he says, he has to concede that the word “true” makes an essential contribution to the thought expressed by “The thought that p is true”; (f) that there are indispensable uses of the truth-predicate anyway, not only in sentences such as “Everything Peter says is true” but also, for example, in informal “metalogical” discourse (g) that, contrary to what Frege appears to claim, he is committed to acknowledging that true is a property (of true thoughts); (h) that it remains unclear what truth qua that which is acknowledged (not predicated) in a judgement is supposed to be if it is possibly neither the True nor the concept is true. 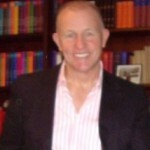 Mathias Schirn is a professor of analytical philosophy at the University of Munich. His research interests are in the philosophy of logic and mathematics, the philosophy of language, epistemology and the more recent history of philosophy and logic with particular emphasis on the work of Gottlob Frege. He held visiting positions at the universities of Oxford, Cambridge, Harvard, Berkeley, Minnesota (Twin Cities), Mexico City (UNAM), Buenos Aires, São Paulo and several other universities in Europe, the United States and Latin America. He published in The Journal of Symbolic Logic, Mind, The Philosophical Review, Synthese, Erkenntnis, History and Philosophy of Logic, Logique et Analyse, The Bristish Journal for the Philosophy of Science, Metascience, Dialectica, Axiomathes, Kantstudien, Theoria, Crítica, Manuscrito and other international journals. 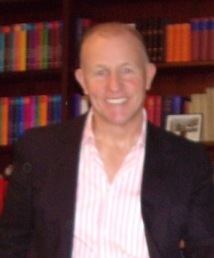 He published two books on the philosophy of language (one in German and one in Portuguese with Guido Imaguire), edited several books including Frege, Importance and Legacy, de Gruyter, Berlin New York, and The Philosophy of Mathematics Today, Oxford University Press, Oxford and he is now preparing a book with the title Foundations of Logic and Mathematics. 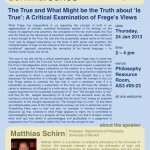 Essays on Frege and another with the title Zahl und Begriff, Untersuchungen zu Freges Philosophie der Mathematik. Among his hobbies are chamber music (especially string quartets), jazz, Roman languages, visits to Latin America and sports (especially bike racing competitions). This entry was posted in Announcement, Philosophy Seminar Series and tagged Frege, Logic, M. Schirn, Philosophy of Language by Jonathan Sim. Bookmark the permalink.